It's Bulgogi Bros SM Mall of Asia branch anniversary! 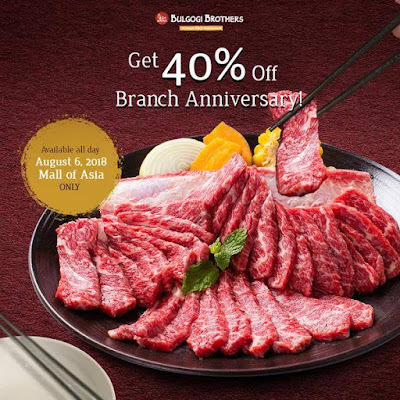 Get 40% OFF on their Big Grill, available all day on August 6, 2018! It's their little way of saying "gamsahamnida"! This promo cannot be combined with the bistro card and other ongoing promotions.